Aari McDonald of the University of Arizona is one of the biggest surprises in college basketball this season. She is one of four sophomores on the Wooden Award midseason watch list, a group of 25, and she has rejuvenated the Wildcats’ program. Through the weekend, the 5-foot-7 McDonald was leading Megan Gustafson of Iowa and Cierra Dillard of Buffalo by two tenths of a point at 26.1 for Division I’s leading scorer. The Wildcats are coming off a 6-24 season and 2-16 in the Pac-12. However, the team went on an 11-game winning streak, blowing through the non-conference schedule, to open the year. 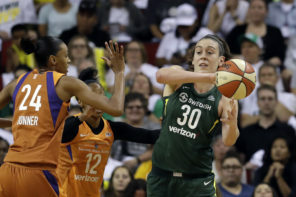 Its lone loss was by two points to Loyola Marymount, a game in which McDonald scored her personal best of 39 points. Skeptics thought the Wildcats would cool off once the Pac-12 season began, but Arizona clamped down on Arizona State, 51-39, and McDonald was 5-of-8 from downtown with 36 points in a 60-55 win over California, another ranked team, as she completed a string of three-30-point games in nine days. 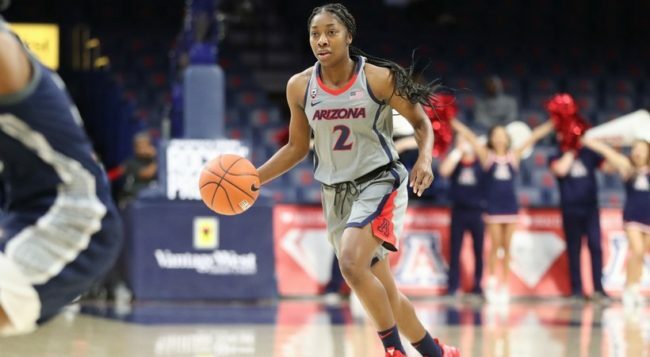 McDonald came to Tucson from the University of Washington, where she spent one season, 2016-17, and was named to the Pac-12 all-freshman team, scoring just less than 10 points per game, as the team advanced to the Sweet 16. 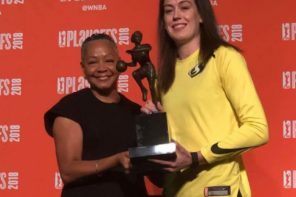 The Huskies were coming off a Final Four run, and Kelsey Plum broke the NCAA’s career scoring record during McDonald’s freshman year. McDonald, who is from Fresno, Calif., said she chose Arizona because it had a supportive family atmosphere and she liked the coaching staff. Head coach Adia Barnes was a Washington assistant from 2011 to 2016. Following McDonald, the drop off to Arizona’s next-leading scorer is 15 points to Cate Reese at 11.8 per game, plus three more to San Thomas’ 8.8. McDonald listed getting to the rim, getting back on defense, rebounding, getting teammates involved and locking down on players as her strong points. McDonald leading the Wildcats to their first NCAA Tournament appearance since 2005 and first postseason appearance since 2011 is becoming closer to a reality.